A major focus of my sabbatical is shalom through peacemaking. Today kicks-off a city-wide effort of politicians, police, and pastors called Ceasefire Week. After a week of events, there is a culmination with the 10th annual Ceasefire Sabbath, inviting all faith communities to preach (and practice) peace. On the surface, this seems like an easy effort to support. Any effort towards peacemaking and curbing gun violence needs to be applauded. And on the surface I lend my voice in support of this. Pastors I work with, admire and support are at the forefront of this year’s efforts (See this write-up including Pastor Olson from Our Savior’s Lutheran Church). In years past, however, religious leaders from groups like MICAH have offered lukewarm support to Ceasefire Sabbath. Why? Why would justice-minded religious communities not step-up to support Ceasefire Sabbath? The answer is that violence is way deeper than the soundbites offered in these initiatives. Up until this year, this has been a media event with great talking points and no concrete actions toward curbing violence in Killwaukee. At least this year is different. The Milwaukee Clergy Coalition, a collective of mostly Baptist congregations, is sponsoring a gun-buyback initiative. Original efforts pressed the city – specifically Mayor Barrett and Police Chief Ed Flynn – to authorize and implement the program. When the city refused to put-up money for the effort, the coalition raised their own funds to make it happen. I applaud this effort and the spirit of courageous leaders not waiting for others to do the hard work of peacemaking. “We need grownups, we need adults, we need a community that says, no! You’re a punk if you need a gun to win a fight. You’re a jerk if you shoot somebody and wreck your life and wreck their life. No, we don’t respect you. You don’t deserve a monument of wet teddy bears and empty beer bottles. No!” Flynn says. Flynn, in his typical demeanor, insults the very residents he is sworn to serve and protect. (Now my feelings for Flynn are no secret, so perhaps this sounds like me spouting off from a bully pulpit – but hear me out). In this quote he blames the community that suffers from gun violence for this situation. “We need grownups, we need adults,” he says, as if the neighborhoods are run by children. This white cop is implying that these neighborhoods – primarily neighborhoods of color – are not mature. All I hear is a white man yelling, “Come here, boy.” If there is violence in our neighborhood it is because we aren’t “man enough” to handle it. This is Flynn’s typical M.O. Whether speaking to congressmen or clergy, Flynn shows no respect for others in the room. His arrogance and brash personality no-doubt got him where he is, but is devastating to a city plagued by historical and current community-police relations (note that I fully agree with his positions stated in Congress, but thought his testimony revealed more about his character than his policy). His quotes about the community stepping-up are in this same vein. It assumes the community has been absent or negligent. Instead of bashing the residents living with the reality of violence, let’s look at a broader context of this situation. First, residents are living in a divided city along racial and class lines. This division breeds racist and classist decisions and policies that hurt residents in Milwaukee. The city is starting with a stacked deck. Now, let’s look at the sobering reality of incarceration rates for black males in Milwaukee. We’re #1! Wisconsin has the highest rate of black male incarceration (twice the national average) and that plays out in our neighborhoods to mean that more than half of all black men in their 30s and 40s had been incarcerated at some point (see data here). Take this tinder-box of a situation and let’s add the gasoline of police-community relations in the city. Names ring out like Flynn’s old role-call methods conjuring ghosts that dared cross the thin blue line: Frank Jude. Ernest Lacy. Derek Williams. Dontre Hamilton. This is a culture of violence. This is not childish on the part of neighbors and residents. 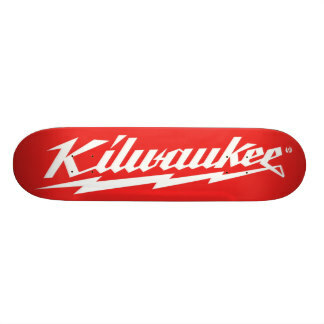 This is the fierce reality of life in Killwaukee. So rather than blame the community for not doing enough, let’s engage this work with compassion and righteous anger. We need righteous anger toward the systems that exist making a life of crime more appealing – and certainly more accessible – than going legit. Let’s get angry about the struggle to even get a minimum wage job. Let’s work toward banning the box. Let’s be honest about what living in poverty is like instead of blaming those in the struggle. And let’s show compassion for those who in the midst of impossible circumstances make horrific and violent choices. Let’s realize that for some little boys playing cops and robbers in Milwaukee the hero isn’t the one with the badge. Let’s build stronger relationships between police and citizen, to show that not all cops are bad and not all people of color are criminals. Let’s bring healing into our city. Let’s bring jobs. Let’s care for those who bring violence upon our city. Let us pray for our enemies. Let’s move beyond talking points. 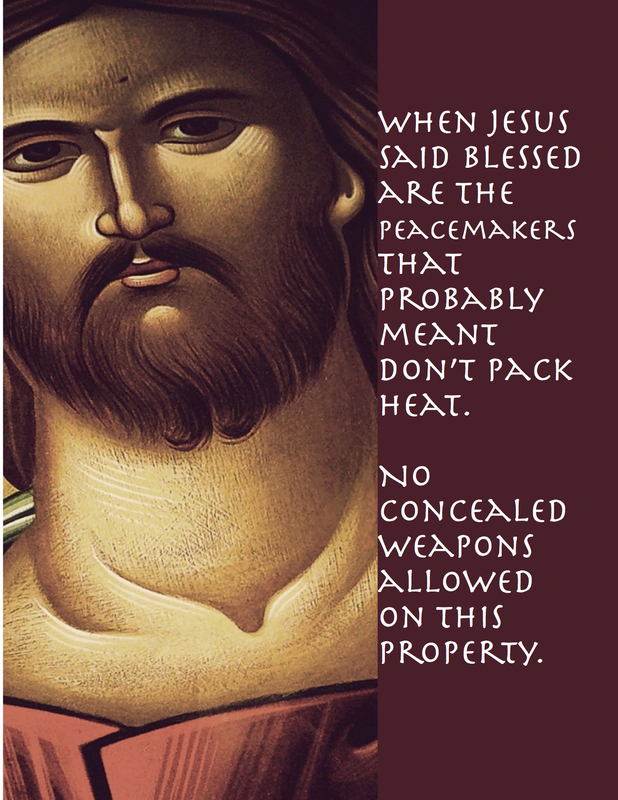 Let’s DO the work of peacemaking. Shalom is not established by a wish or waiting for someone else. It is about that place where shalom and tsadaq embrace (Psalm 85). That means peace and justice are together. Until there is justice in our city – around race and class and police/community relations – until that justice is established there will be no peace. Let’s follow the efforts of the Milwaukee Clergy Coalition and be makers of peace. It happened again. After the fact, I find out a member of my church has been shot. The good news is that he lived. The good news is that he lived. Washington is in an uproar about gun control. Next week recommendations will come out. Next week the NRA will blather on about infringement of rights. Next week congress will probably have a press conference. And next week I’ll go to another hearing to support the family of Darius Simmons. And next week I’ll be praying with the young man who should not in anyway be “fine” after being shot but who in all actuality probably is “fine.” And next week there will be suicides and domestic violence involving guns. And next week, as it was this week and last week, if they live it is good news. I know all this. And still, tonight, I am comforted by the good news that he lived. And I ask how will we ever keep our young men safe? How will we break the cycle? How do we stop being fine?